A second post today, that barely never happens for me! But I’m trying to post as many OPI polishes as I can before October is done. I won’t get them all so I’ll have to finish in November, but that’s okay. It has a wide and thin brush that works well. 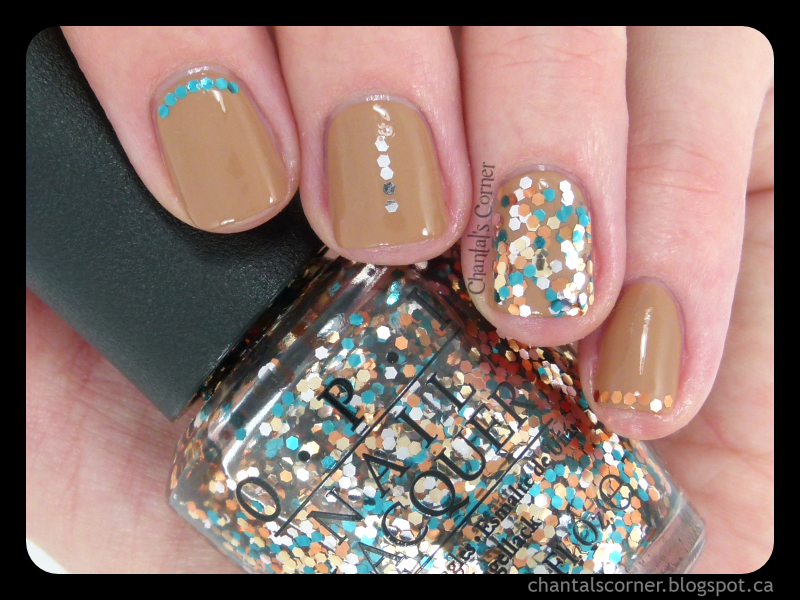 I thought this glitter mix only had 3 colours in it, hence the nail art that I did with it, but looking at it up close I can see 4 colours: teal, copper, gold and silver. From a normal distance the gold and silver look the same. On my ring finger I have 3 coats of The Living Daylights (yes, 3). And I tried to be creative on my other fingers. I then topped it all with a top coat to smooth out the glitters. I wore this over OPI “San Tan-Tonio”. I’m not quite sure why I bought this one because the glitter mix is not really my kind of colours. Well the teal and silver are, but not the copper and gold. 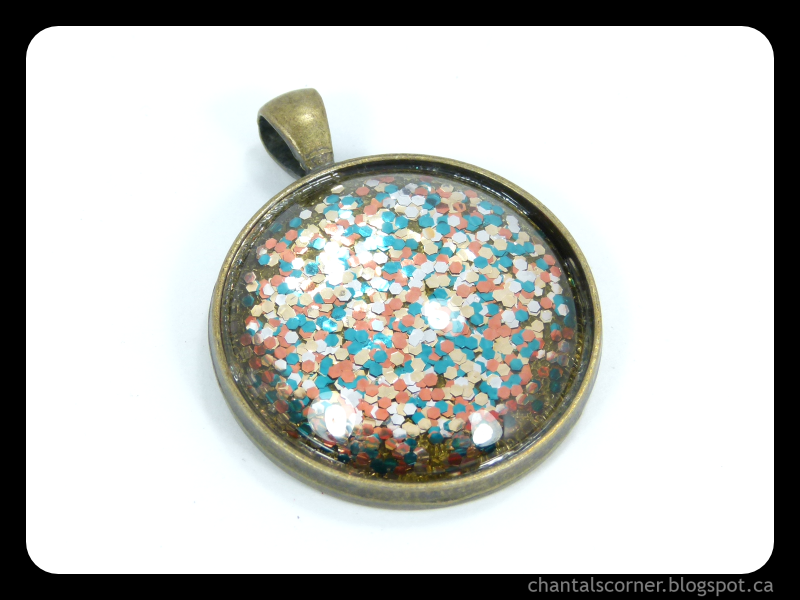 However, it works for nail polish jewellery – that I will post in my shop soon! Did you get this one, or any other polish from the Skyfall collection? OPI is a staple brand in many salons and spas, and can be found in many home collections as well. This October is all about sharing your OPI stash. Be sure to head over to Chantal’s Corner, KalynLord.com, and Scarlet Beauty for all their swatches! Don’t forget to play along by tagging your own manicures with the #OPIOctober tag!